김왕배, 이경용, 이가람,(2012).감정노동자의 직무환경과 스트레스.한국사회학,46(2),123-149. 인간 본연의 속성인 ‘감정’을 노동과정 속에서 교환가치로 추상화하여 상품으로 판매하는 특별한 유형의 서비스 노동을 감정노동이라 한다. 서비스 영역이 확대되면서 감정노동의 영역 역시 급속히 확대되고 있다. 특정한 감정규칙을 따라 자신의 내적 감정을 조절, 관리하는 작업을 수행해야 하는 감정노동은 새로운 노동통제 방식이자 이윤추구의 마케팅 전략이기도 하다. 감정노동자들은 기업이나 조직이 만든 감정 규칙의 매뉴얼에 따라 자신의 내재적인 감정을 조절 혹은 변화시켜야 한다. 그 결과 많은 감정노동자들이 스트레스는 물론 우울증과 불안, 그리고 소진(burnout) 현상을 나타내고 있다는 실증적 연구결과들이 제시되고 있다. 본 논문은 〈근로환경조사〉 자료를 토대로, 감정노동과 직무환경 그리고 스트레스의 관계를 분석하였다. 감정노동에 대한 기존 연구들이 감정노동과 스트레스 혹은 소진의 직접적 연관성에 초점을 둔 반면 본 연구는 통계적 분석을 통해 감정노동자의 직무환경 변인의 영향을 알아보았다. 또한 공공서비스 부문의 감정 노동자를 분석에 포함시켜 민간서비스 부문과 비교하였다. 연구결과 공공서비스 부문의 감정노동자들이 민간서비스 부문보다도 더 많은 스트레스를 받고 있고, 비정규직 감정노동자들이 정규직에 비해 더 많은 스트레스를 받는 것으로 나타났다. 이는 공공조직의 엄격한 규제나 고용불안정이 감정노동의 부담을 더 높인 것으로 해석할 수 있다. 또한 시간압박감이 크고, 휴식의 자율성이 적을수록 감정노동자의 스트레스도 큰 것으로 분석되었다. 본 연구의 결과들은 ‘발견적’인 것으로, 감정노동의 영역이 더욱 확장되고 있는 추세 속에서 다양한 측면의 실증적 연구와 정책적 방안들을 연구하기 위한 기초작업으로서의 의의가 있다고 할 수 있다. 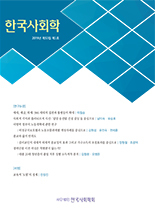 Based on 2006 Korean Working Conditions Survey, this paper has attempted to show the relations of work environment and stress of emotional laborers. As the service sector has expanded, the fields of emotional labor has widened from female-based low service jobs to male professional jobs. Emotional Labor transforms the emotion, a basic human nature, into a commodity in its labor process to sell them at the market. A series of empirical studies have shown that it led many workers who perform the emotional labor to get depression, anxiety, and burnout, as well as general stress. While many studies have focused on the direct connection between emotional labor and stress (or burnout), this study has been designed for a statistical analysis on influence of various socioeconomic variables and work settings. It includes the emotional workers of public service sectors in the analysis for comparison with those of private service sector. Result has shown that the emotional workers who are in public service sector are more vulnerable to the stress than those in private sector. Emotional workers with irregular employment status showed higher stress level than those with regular status. It can be interpreted that strict control of public organizations or general job insecurity are added to the burden of emotional labor. Also higher time pressure and less autonomy are proven to increase the stress of emotional workers. In the era of expanding service industry and emotional labor, this exploratory study is significant as a pilot study for further empirical research.